Olympus’ Revolutionary Voice Systems provide a bridge to enhance patient documentation of the healthcare system, aligning directly with our customers initiatives: Reduce Costs, Improve Overall Quality of Care & Enhance the Patient Experience. Relying on microcassettes to capture voice recordings? Stop wasting time and budget on managing and repairing an outdated system. 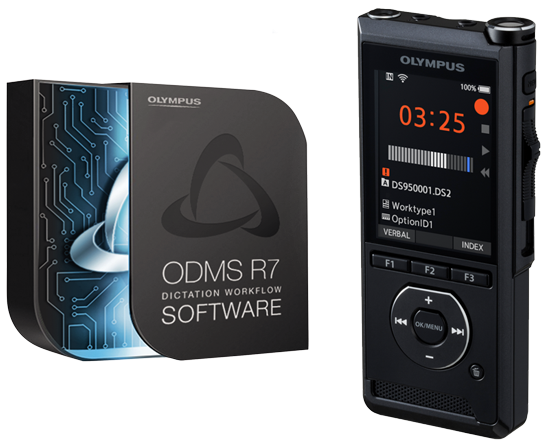 Olympus’ Revolutionary Voice Systems create crystal-clear professional audio files and the ODMS complete digital dictation management system boosts the efficiency, productivity, and security of your workflow. ODMS workflow solutions share files instantly between physicians, transcriptionists, and managers via a shared folder, email, or FTP saving teams. Eliminate the cumbersome and time-consuming process of physically mailing tapes to remote employees or outsourced companies. Integrated seamlessly with Nuance Dragon speech recognition workflow, minimizing the overwhelming workload by cutting the processing time to complete allocated tasks. 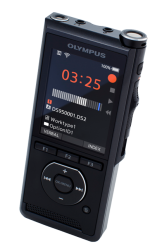 Olympus dictation devices achieved the highest Dragon score of 6, providing users with unmatched accuracy. Concurrent licensing and no annual fees with ODMS make our solution both cost-effective and flexible. Plus, there is minimal IT infrastructure required to get up and running. Analog tapes, devices, and services are not far from extinction and it’s costly to maintain, repair, and store this old technology. All ODMS dictations and documents are stored in SD cards and on servers, and regular updates ensure you always have the most advanced dictation solutions. Eliminate security risks such as misplaced tapes and unauthorized access to confidential data—everyday realities of an analog system. Audio files are fully protected with automatic 256-bit AES encryption and device lock. A professional-quality microphone makes it easy to capture crystal-clear recordings. The robust slide switch is built for heavy usage and precise control with perfect ergonomics, which allows users to speak naturally without without looking at the device.